Nothing beats the winter blues like the smell of fresh citrus. 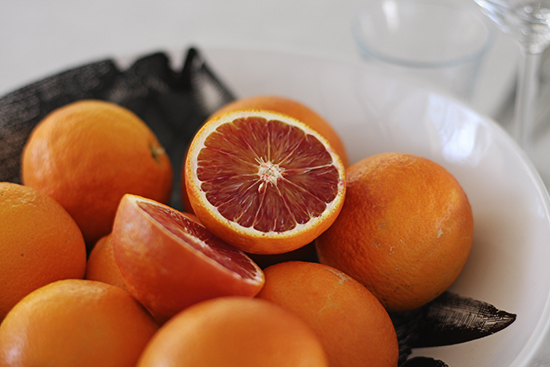 Blood oranges are full of antioxidants and high in flavour. Only when slicing through the orange skin, will you see their distinctive pink/maroon coloured flesh. The presence of anthocyanins, a powerful antioxidant, in the pulp and rind, gives blood oranges their red colour. These pigments are produced in sufficient amounts only when the fruit is exposed to cold temperatures during its development or post-harvest. On the farm we’re experimenting with many different varieties of blood oranges: Tapi 1, Tapi 2, Clara, Messina, Moro, Sciara, Meli, Gallo and Rossa. All of these were grafted onto a Troyer or Carrizo rootstock. The trees are still young and will produce their first harvest in two years. Blood oranges have a unique flavour compared to other oranges, being tart-sweet and slightly berry-like in addition to the usual citrus notes. 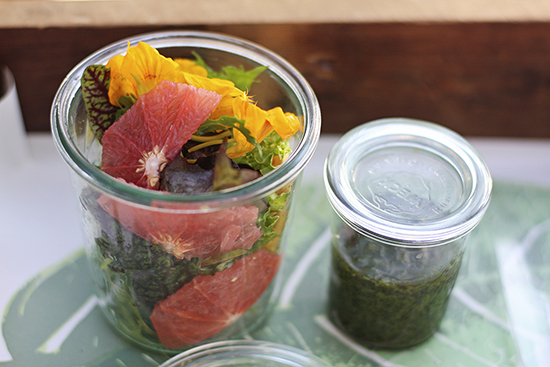 This week we serve Cara blood orange slices in our Greenhouse Salad. Hi. Please can you advise if you make delivery of blood oranges to Johannesburg. Dear Nirvana, unfortunately not. Our fruit is only available on the farm or at the farm shop. Hi Mike, unfortunately we do not have blood oranges anymore. good day, do you have blood oranges back in stock. Hi Mae, no unfortunately not at this moment. From your experience, based on taste, would you go for cara cara navels or blood oranges? Hi there, I’m struggling to find it elsewhere online, so please could you let me know when blood orange is in season and available to buy from you? I need to use two or three for decor on a cake mid-September and would like to know if I’d be able to get it from you. Hi Riesl. You can find them at most nurseries but would be best to contact your nearest nursery and find out directly from them if they stock the oranges.